In my two previous blog posts I talked about how allowing multiple users to access a simulation at the same time would change the paradigm for the entire engineering process bringing about simulation driven design. However, I think I buried the lede when I wrote about those two posts. All of this is enabled by cloud technology, specifically, providing cloud-enabled simulation software to the market. According to Wikipedia, “cloud computing is a model for enabling ubiquitous, convenient, on-demand network access to a shared pool of configurable computing resources (e.g., networks, servers, storage, applications and services) that can be rapidly provisioned and released with minimal management effort.” That is a mouthful. Let me explain it in regards to the value to simulation software. Access scalable cloud computing power resulting in faster runs – look for a future blog post on this. Easy licensing options allowing for short-term or long term options to virtual on-demand licensing – look for a future blog post on this. Cloud computing is the future, whether you use SimSci SimCentral or not. Whether you use a 3rd party to host your application(s) of have a private cloud environment, cloud computing has brought about a fundamental shift in how software is deployed and how end-users interact with that software. 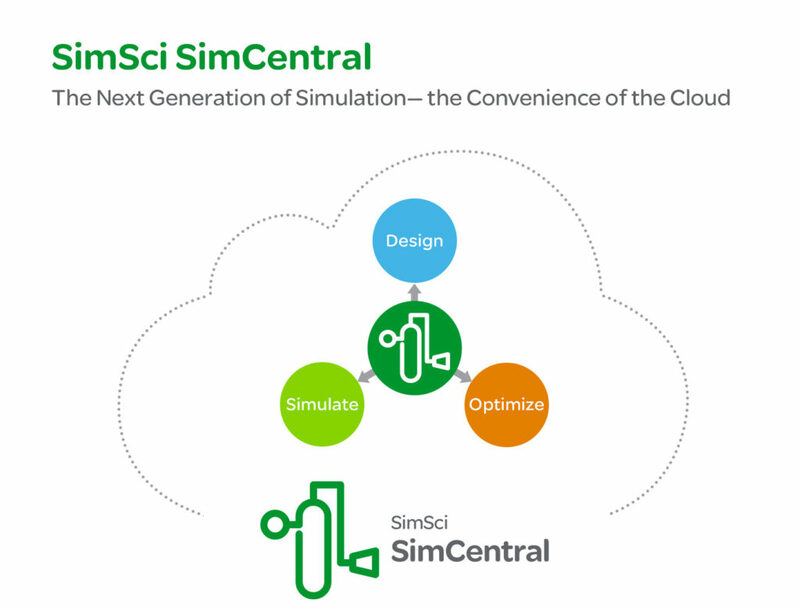 SimSci software from Schneider Electric is embracing this trend with SimCentral and working to remain ahead of the curve as our customers start to embrace cloud computing. SimCentral will be fully cloud enabled in the near future. Joseph, one additional huge benefit of scalable cloud computing power as you describe it nicely above is to achieve higher product quality which improves a company’s competitive position. With having access to more and more powerful computing resources you can do more simulations (in parallel) with more and finer-grain geometry and physics. So instead of simulating a few scenarios you can now simulate hundreds of them, thus increasing the quality of the product under development and, similarly important, reduce failure early in the product design phase. Another brand-new technology is going hand in hand with cloud computing but comes also with additional benefits: Linux containers, like those from Docker, a start-up in San Francisco. Originally developed for micro-services enterprise applications, we have enhanced Docker for being applicable now also to ‘macro-services’ technical computing (e.g. CAE). The benefits of a containerized application in the cloud are its easy access and use. But beyond that these application containers are running on bare metal, come with ‘package once run everywhere’ on your desktop, server, or any cloud, are fully portable, no cloud lock-in anymore, accessible and usable on demand, re-usable, stackable, and very easy to support and maintain. They will evolve into a new software paradigm, like the hardware containers 50 years ago started revolutionizing (I better should say ‘simplifying’) transportation by land, sea, and in the air. Increased efficiency from multiple user access to a single simulation Simulation Driven Engineering Cloud Access Has Arrived Why is Cloud computing so hard to define anyways?